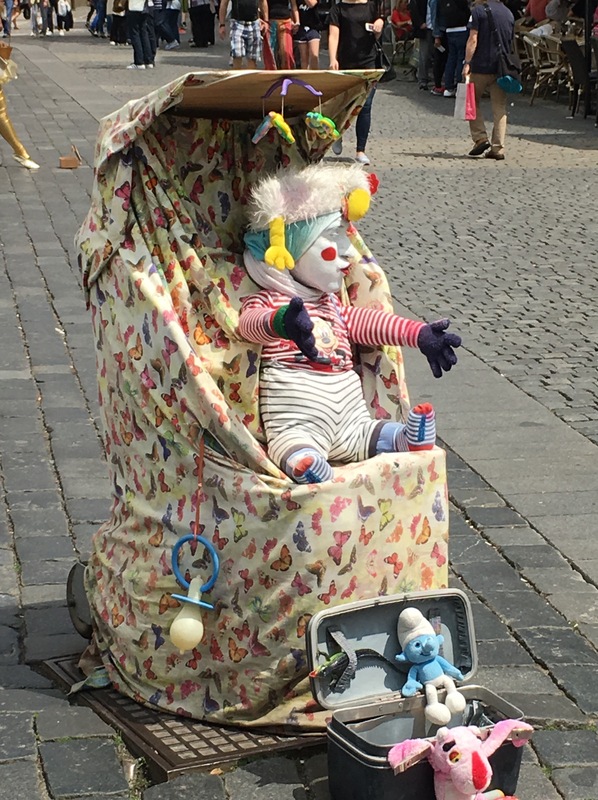 The fourth of four posts with musings and thoughts about our recent visit to Europe. In case you don’t understand German, that stands for “One, two, three … drink!” Seeing that our last stop on our European adventure was Munich, which included a stop at the legendary Hofbrauhaus beer hall, that statement certainly fits. 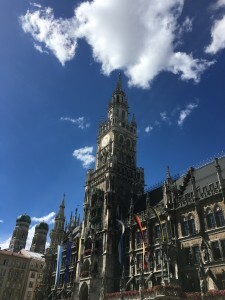 But there is so much more to Munich, the 3rd largest city in Germany. I feel like we barely scratched the surface, getting an overview of the city through one of those guided tour buses that showed you the main attractions but all you did was pass on by. There simply wasn’t enough time to really explore. We did manage to take in some pretty cool sights, though. Our hotel was in the heart of Munich so places like the NeuesRathaus with its chiming glockenspiel was nearby. The glockenspiel in the tower chimes at 11 am, noon and 5 pm. When we bought the bus pass, we decided to make it a two-day pass so we could travel more to the outskirts of the city. 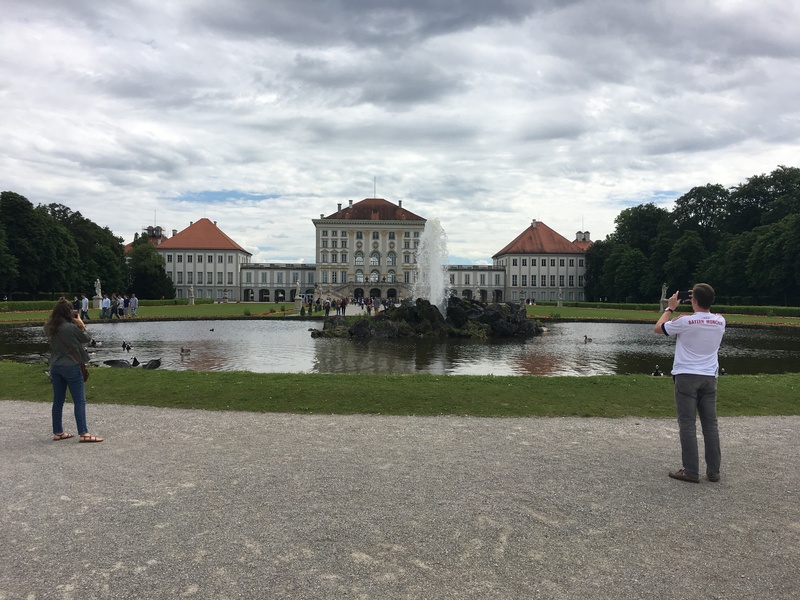 One of our first stops was visiting the Nymphenburg Palace. We had already seen our fair share of palaces and elaborate grounds but the immensity of this place did make quite an impression. 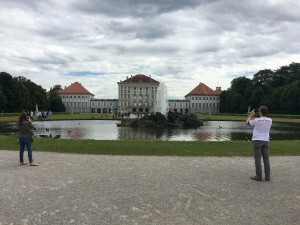 The former summer residence of the Bavarian rulers. After touring the insides of the palace and just a small portion of the grounds, we climbed aboard and set out for the world headquarters of BMW, which is adjacent to the Olympic Park grounds. Though I’m not a huge fan of BMers due to their high maintenance needs, I was impressed with their headquarters and their museum. The German engineering that goes into the ultimate driving machine was also on display at their complex. It was uber-modern – very sleek and cool inside and out. We decided to take a quick jaunt through the Olympic grounds as well but an unexpected shower put that to an end. 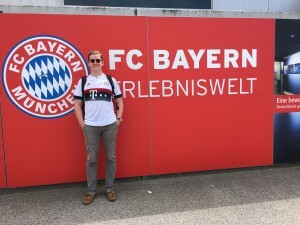 So instead we climbed back on the bus and made our way to Alliance Stadium – home of Bayern-Munich – which just so happens to be Michael’s favorite team on the planet. Unfortunately, the tour times of the stadium which took you into the locker room and onto the field didn’t coincide with our schedule. So we saw what we could, bought a few souvenirs at their gift shop and made our way back to the heart of the city where we set out on foot, ready for whatever came next. 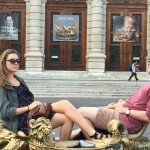 Much to our surprise, we ran into three Mizzou students who were all touring Europe. They had been a part of Mizzou’s Prague experience the year before and Michael had met them earlier while he was in Prague. We first ran into them in Vienna and they joined us in a bier garden. Next thing we knew, they were on our tour bus for the Sound of Music tour in Salzburg. 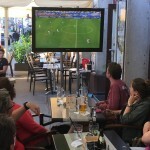 When we encountered them a third time on the streets of Munich it was totally by chance. They told us they had just been to the Hofbrauhaus where it was totally packed with people spilling out into the street so of course, we had to check it out. And they were right. The place was rocking with singing and toasts and beer chants going on all around us. There didn’t appear to be any place to sit – until Michael discovered the second floor and we managed to get a table that had just been abandoned. There was an Ooompah Band playing, beer was flowing, pretzels and schnitzel were great. 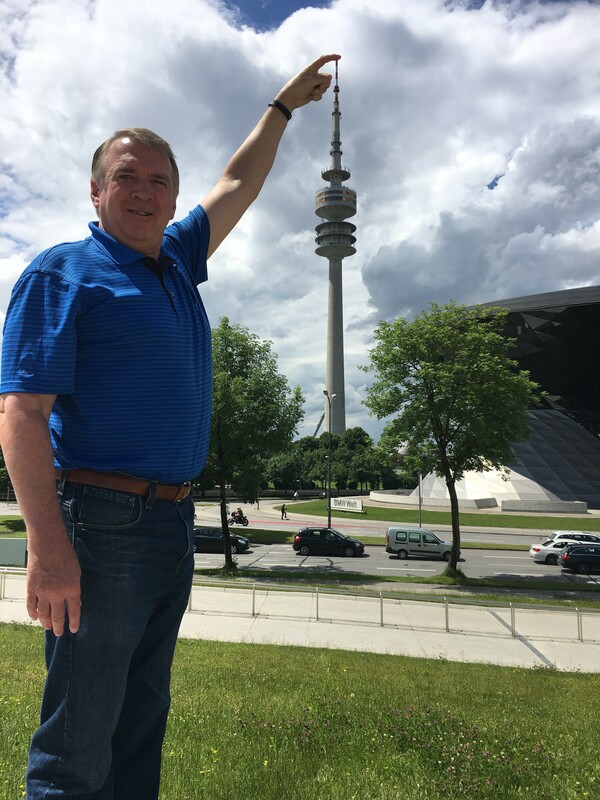 It was a fitting ending to our Munich adventure. Next day, it was off to Amsterdam, onward to Minneapolis and finally home to St. Louis and its 95 degree heat and reeling Cardinals. The third of four posts with musings and thoughts about our recent visit to Europe. 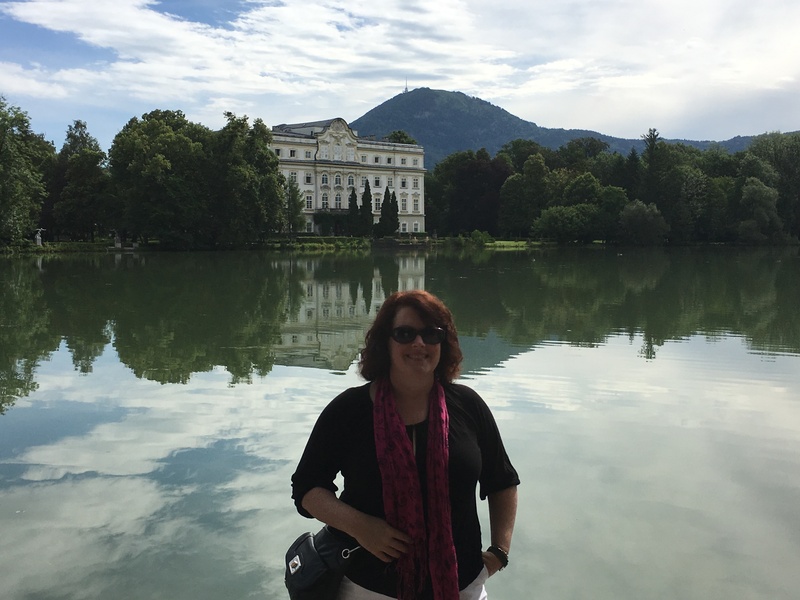 For some strange reason, I was really excited to be visiting the city and surrounding countryside where ‘The Sound of Music’ took place. I’ve always loved that movie. I think I’ve seen it at least seven times, maybe more. So when we were planning out our European excursion and the possibility of visiting Salzburg came up, I was all in. It’s a gorgeous city, surrounded by truly breathtaking scenery. Once we checked into our hotel, we set out on foot to explore the city. 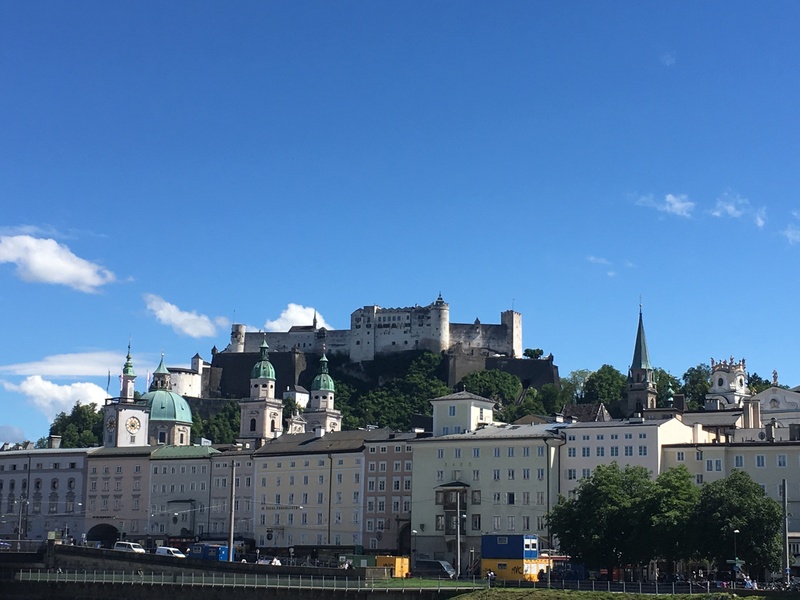 Looming high above us was the Hohensalzburg Fortress – a formidable looking structure that was truly a work in progress – with work beginning on the structure in 1077 by Archbishop Gebhard von Helfenstein and continuing for the next 800 years or so. Talk about a work in progress. Overlooking the city of Salzburg. We took a tram ride up to the Fortress and then began exploring it’s many nooks and crannies including a torture room that was quite frightening. Once we reached the top, the view in all directions made you contemplate what an infinitesimal speck in the universe we all actually are. Next day, we were ready for our Sound of Music tour. Apparently, Americans are the only ones who take this bus journey. There was a German-made movie in 1956, called The Trapp Family that quickly came and went. That story was turned into a Broadway musical in 1959 but it wasn’t until 1965 when Hollywood worked its magic on the story that it became a huge success in the States that is still quite popular today. So our tour bus was packed with a variety of Americans, all waiting to be filled with the Sound of Music. Our tour guide didn’t disappoint. He was part carnival barker, part Liberace and a fountain of knowledge on all things regarding the movie. 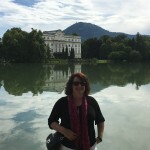 Our first stop was a home overlooking a lake that served as the back of the von Trapp residence that included the scene of all the kids tumbling into the lake from their canoes. Chris on the other side of the lake of the Hollywood-version of the Von Trapp residence. No, I’m not going to take you through every stop we made along the way. We saw the Gazebo where they filmed the “I am sixteen” song; the Church where Maria got married to Captain Georg von Trapp; the garden where the kids learned the “Do Re Mi” song and patted a gnome’s head for good luck. All along, our tour guide was singing along with the music track that was played over the bus loudspeakers. Though I had hoped that I could twirl and sing in a field of flowers just like Julie Andrews did, the closest we got was a field next to a roadway. That was good enough by me. 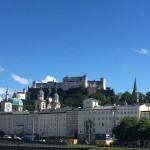 Next morning, just like the von Trapp’s, we fled from Austria, leaving behind the beauty of Salzburg and with some new memories that will make our next viewing of the movie just a little more memorable. 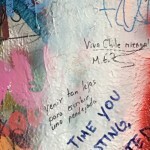 The second of four different posts featuring musings and thoughts about our recent trip to Europe. 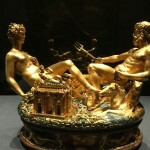 In my mind, I always thought of Vienna as a city of art, music and culture. I was pleased to find that it did not disappoint. Vienna was the second city we visited on our European adventure. We arrived courtesy of a rented Ford Fusion, checking into a hotel that was once again in the heart of the city, only these accommodations proved to be a bit more cramped than our rooms in Europe. But that didn’t matter – we weren’t there to stay in a room we were ready to explore. 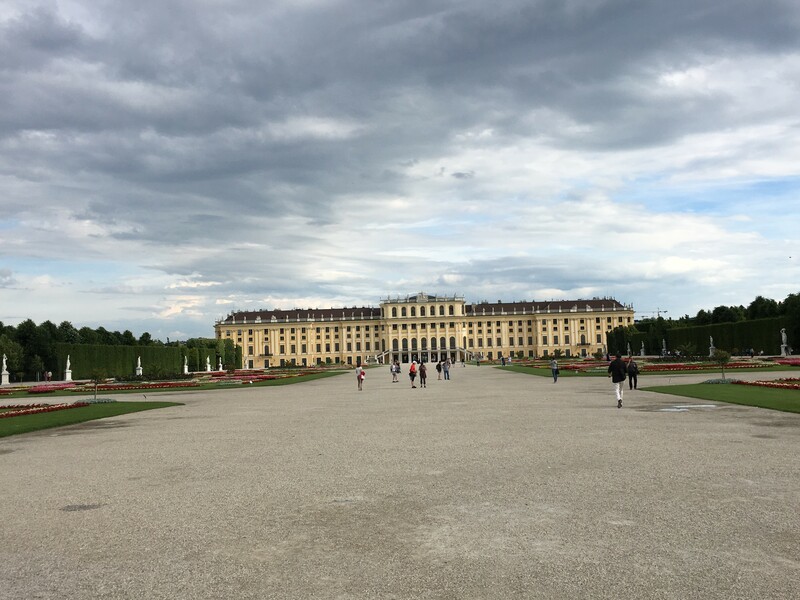 We started out by visiting Schonbrunn Palace. Sorry, I know nothing about the history of this place. The only thing I can say is that the grounds were immense. Though we couldn’t go in the palace, we were free to walk around the grounds – which could have taken hours had we gone from one end to the other. The views were stunning. It seemed that everywhere we went, we were surrounded by history. So it only made sense to try and take in a little history of our own by visiting a few museums. 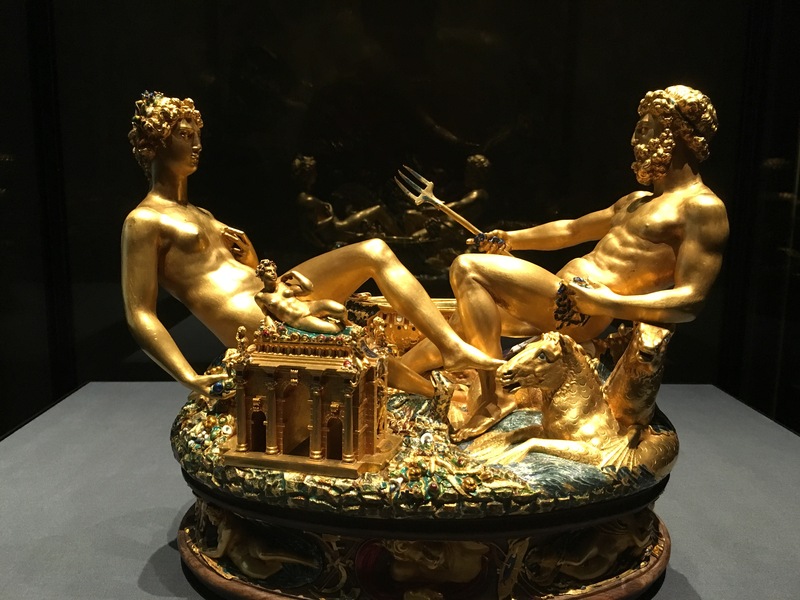 Though their history museum was closed that day, we did pay a visit to Vienna’s Art Museum where Catherine and Michael struck a pose similar to one of the pieces on display. Again, I have no idea what the name of the actual piece is or what significance it may have had. We were tourists on cruise control. 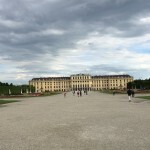 Our wanderings led us to the home of Wolfgang Amadeus Mozart and though none of us pretend to be classical music lovers, we did enjoy learning more about the life of this extraordinarily gifted man who craved the spotlight and loved to gamble. Rock me, Amadeus! Our two days there were exhausting. My fitbit reached more than 23,000 steps on one of the days but they were well worth the effort. Of course all that wandering built up both a hunger and a thirst and we managed to satisfy both each night – the first night with an awesome outdoor evening meal enjoying some wienerschnitzel and beverages and the second night watching Austria take on Hungary in a Euro Cup game at a sidewalk cafe. 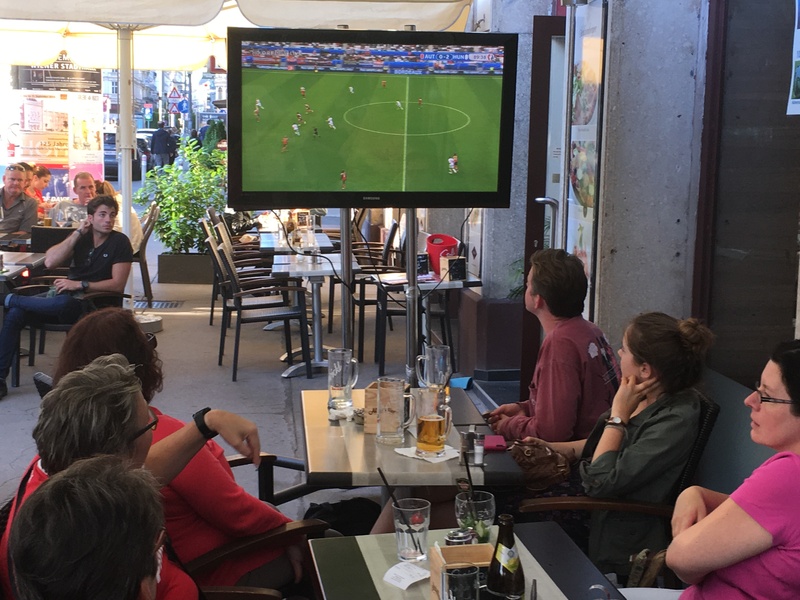 We seemed more interested in the Austria-Hungary game then just about everyone else. 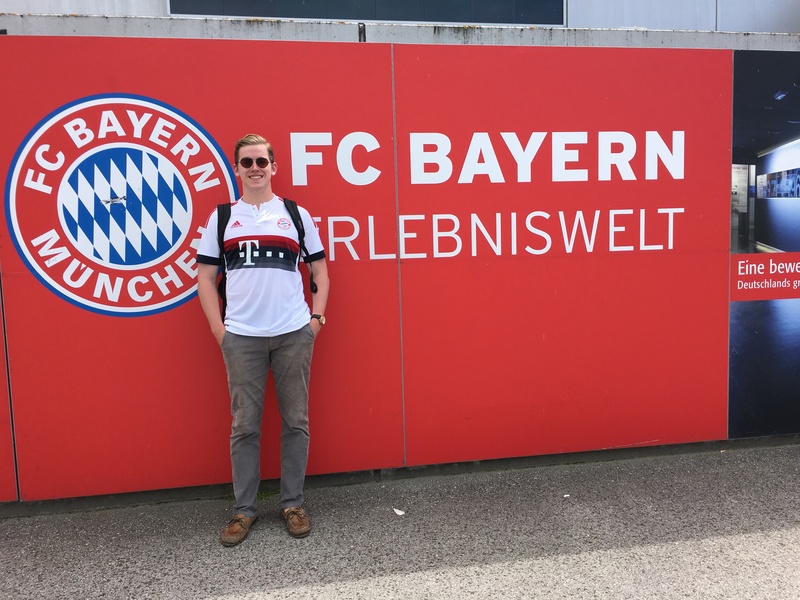 The first of four different posts featuring musings and thoughts about our recent trip to Europe. 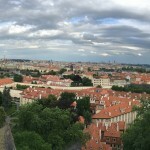 I had never contemplated traveling to the Czech Republic before and knew nothing about the city of Prague. At least that was the case before our son, Michael, applied to take 6 hours of credit over there through the University of Missouri-Columbia. Michael took off on his journey the Friday after he got home from his sophomore year at Mizzou. Chris, Catherine and I set out about a month later to pick him up after his studies were done so we could see a bit of Prague and then set out on a European adventure to a few other cities. From what I had heard, Prague was a beautiful city. During World War II, Hitler avoided bombing it, apparently having some sliver of compassion in not wanting to destroy its centuries old buildings and cathedrals. Our hotel was in the heart of the city with transportation through its underground system literally right at our doorstep. Our first venture out after a brief nap at our hotel was to a nearby restaurant where we were joined by one of Michael’s best friends and his family. The meal was excellent and when it came time to ask for the check, we quickly learned we should say ‘bill’ instead. That became the running joke wherever we went. 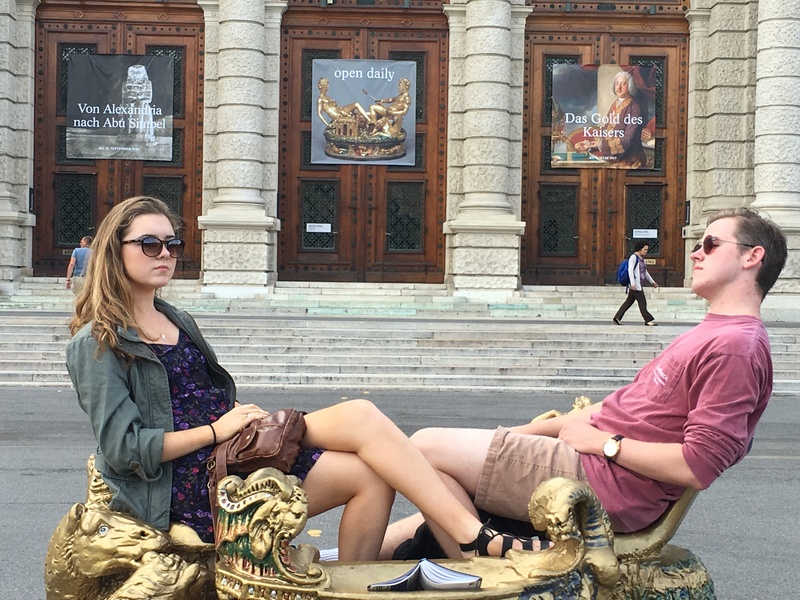 We toured the city and it turned out, Michael’s time at the University was also well spent in the city of Prague. He knew his way around, serving as our own personal tour guide. We visited Prague Castle and made our way up to the highest point in Prague where the city was spread out before us. From there we crossed the Charles Bridge before making our way to the Lennon wall – a graffiti filled wall dedicated to the memory of John Lennon who garnered quite a following during the 70s. People would paint tributes to him on the wall and they would quickly be painted over by the ruling elite. This continued until the Czech Republic went free of communist control. Today, the wall continues to be painted over – only it’s more people adding their own messages. Look closely and you can see the Yes logo and my name, which probably got washed out with the first rain that came after I made my mark. We also visited the Infant of Prague, located in the Mala Strana (I’m not sure if that’s an area or the name of the church) but this tiny statue supposedly has miraculous powers. We all prayed for safe passage for the rest of our journey and since we made it back safe and sound, I’d have to say the Infant was watching over us. 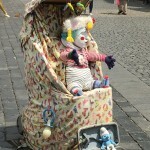 Speaking of infants, we also ran across this unusual character in Prague’s Old Townhall Square. He was seeking money but we told him all we had were checks. Our trip finished with a gathering of many of Michael’s Mizzou classmates at a public park high on a hill on the outskirts of the city. The view was magnificent and so was the beginning of our European adventure.